From Go-Karts to Luxury Yachts, Bicycle Pedals to Fly Wheels, Model Boat parts to Amusement Park rides; CNC Machining has enjoyed manufacturing a wide variety of parts for the sports and leisure industry for many years. 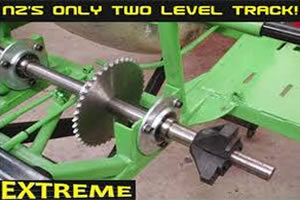 Who doesn't like squealing around a track in a full-powered Kart? Whether racing against friends or trying to beat your own record, all speed demons love the thrill. We certainly do at CNC Machining and when the chance came up to make some specialised parts for Extreme Indoor Karts, you know we said yes, we also had to take the karts for a spin or two around the track, purely for safety pre-cautions of course. Keywin Sports has long been a client of CNC Machining and we are very proud to have assisted them with their successes. 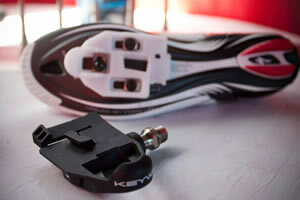 The Keywin Carbon's are fast becoming THE pedal for the experts. Race proven time and time again and with many championships won using Keywin Carbon's, you can bet this is not the last time you will hear of them. 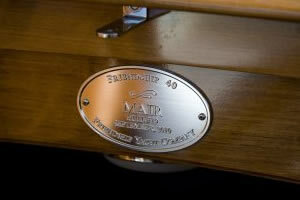 When Friendship Yacht Company needed perfectly machined nameplates for their beautiful luxury yachts, CNC Machining was who they came to. Our reputation for producing perfectly machined intricate parts was on the line and we proved our worth, We are so proud to have put our stamp on these gorgeous crafts.